This week the European Tour heads over to Austria for the Lyoness Open which has an increased purse of €1,500,000. The field is a relatively average one for European Tour standards with the better players opting to spend time in America to prepare for next week’s US Open, nevertheless this should still be an excellent event from a betting perspective. It comes as no surprise that Bernd Wiesberger is the favourite in his native country around a course he has performed well around in the past. And not far behind the Austrian in the betting are the inform Chris Wood and Richie Ramsay. 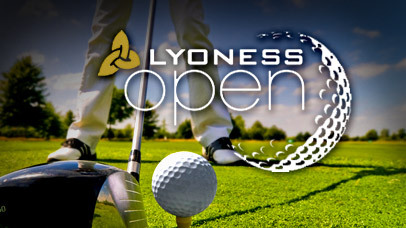 Diamond Country Club hosts the Lyoness Open for a sixth consecutive year this week which is ideal from a betting perspective. The course was designed by Jeremy Pern and opened in 2002 and it has been a great venue for this event. This tricky golf course is a par 72 that plays a testing 7,433 yards and the winning score could range from -10 to -20 depending on weather conditions. The forecast suggests that it’ll be sunny throughout the week with little wind, therefore we should expect a low winning score. At 7,433 yards you’d expect the course to suit the longer hitters but it is the accurate drivers that have fared better around this track. Of the 18 players that have finished inside the top three (including ties) around Diamond Golf Course over the past five years, only four players have finished the year ranked inside the top 50 in the driving distance statistic. This is because the rough is quite thick and penal and water comes into play on numerous holes, therefore finding the fairways is crucial this week. Scott Jamieson – My opening selection this week is Scott Jamieson who recorded his first and only victory on the European Tour in 2013. The Scotsman comes into this event in good form, he’s finished inside the top 31 in each of his last three starts and Diamond Country Club should suit his game. Jamieson has only played in this event once and he tied for eighth position, thus suggests that he likes the course. 50/1 appears to be an excellent price considering how weak the field is this week. Gary Stal – At a generous price of 50/1, I couldn’t ignore Gary Stal this week. He won the Abu Dhabi HSBC Golf Championship earlier this year in a strong field and has already proved he’s one of the better players on the European Tour. Admittedly the Frenchman’s recent form isn’t superb but 50/1 is too good to ignore. In the Lyoness Open last year, Stal finished in 25th position this indicating that he has the ability to perform well around Diamond Golf Course. Adrian Otaegui – Adrian Otaegui is a talented Spaniard who is capable of winning in a weak field this week. He’s had a good season so far and came close to winning the Tshwane Open in March. Since then his level has dropped, although he did play pretty well last week in the Nordea Masters. Otaegui finished in 58th position but hit an impressive 70.8% of greens in regulation which suggests his game is in good shape. Adrian missed the cut in this event last year but that doesn’t bother me as he’s improved vastly as a player since then. The course should suit his game as accuracy is required off the tee and the Spaniard is ranked 27th in the driving accuracy statistic on the European Tour this season.